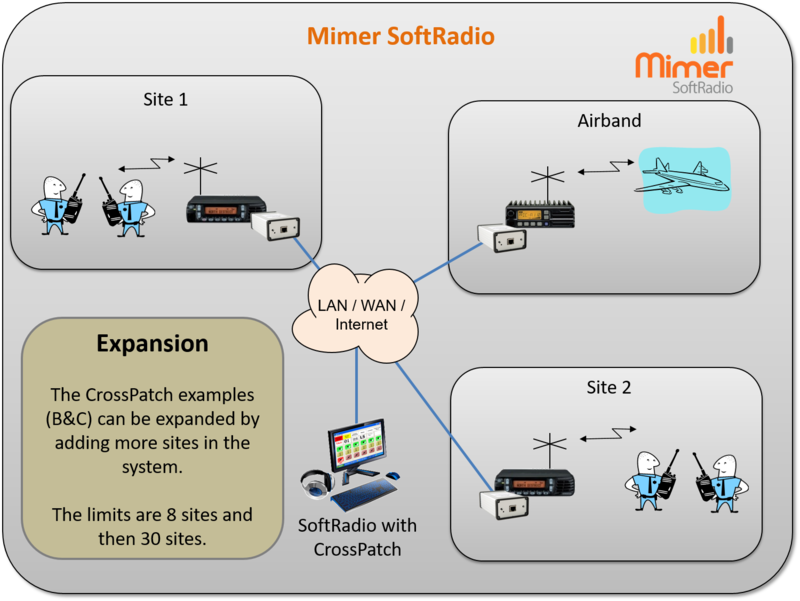 With the Mimer CrossPatch option, radios can be connected together for a short time or for a longer period. 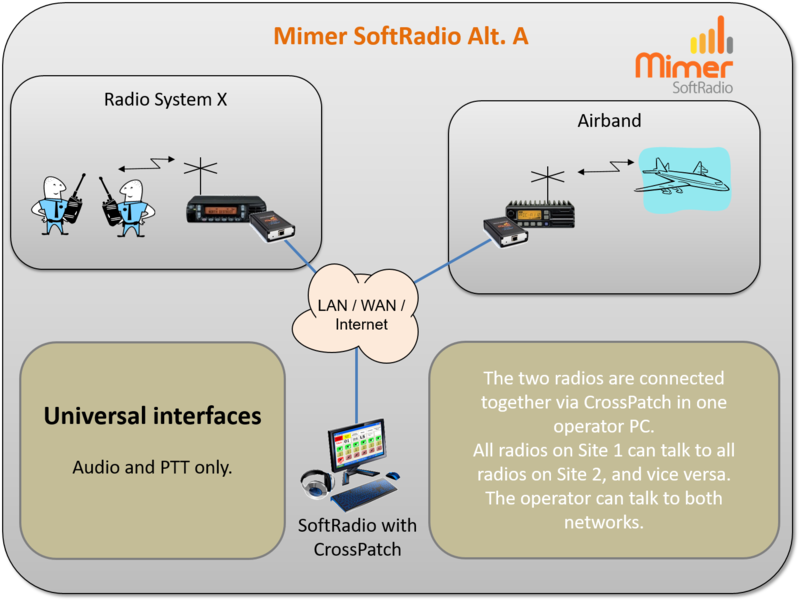 Mimer CrossPatch is an option that gives the operator the ability to Patch (cross connect) two or more radios together. This can be used for example as a connection of radio channels in different frequency bands or a connection of an analogue channel and a digital talk group. Up to eight radios can be in the same patch. Each operator can make up to four patches at the same time. 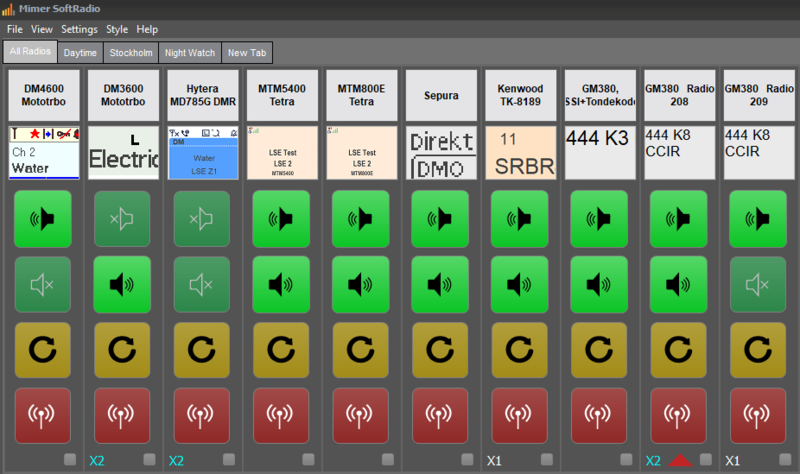 Even more with SoftRadio XL. 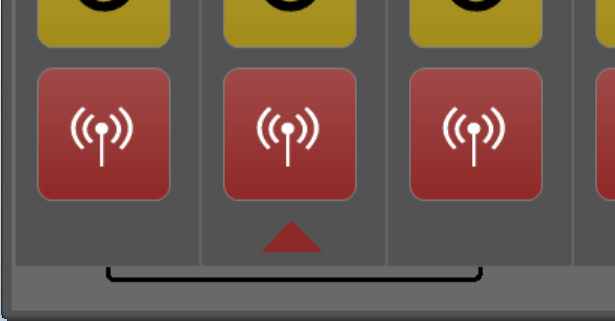 A radio that is hooked up in a patch by one operator can still be used by all operators. But it can not be hooked up in a new patch while still in the patch. The operator that has made the patch is in control over the patch and is the only one that can disconnect the patch. 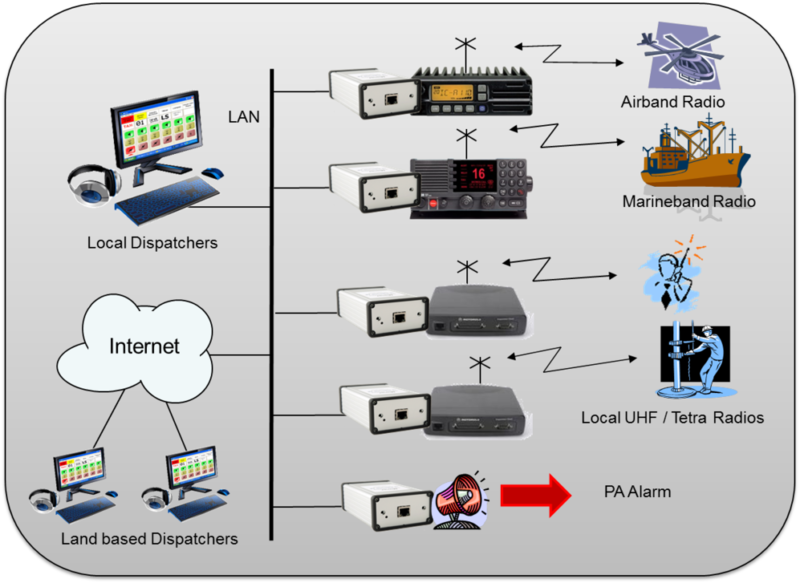 Patching also works between radio and other types of devices, such as phones, PA´s and intercoms. 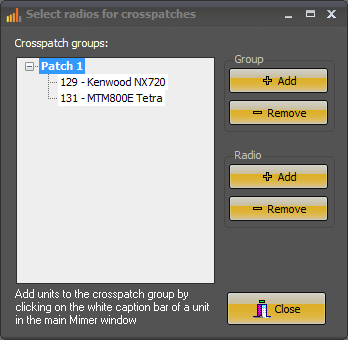 The radios in the patch can be a mix of local and remote radios. There are no limits. You can patch two radios that are at the same radio site on your roof top, just as well as a radio in Tokyo with a radio in Berlin while your operator PC is in New York. From SoftRadio V4 and onwards there is a possibility to set a time limit to the CrossPatch. In this way an operator will not forget to disconnect the patch after it has been used. Please note that patches including a phone are always disconnected directly when the the phone call is ended. 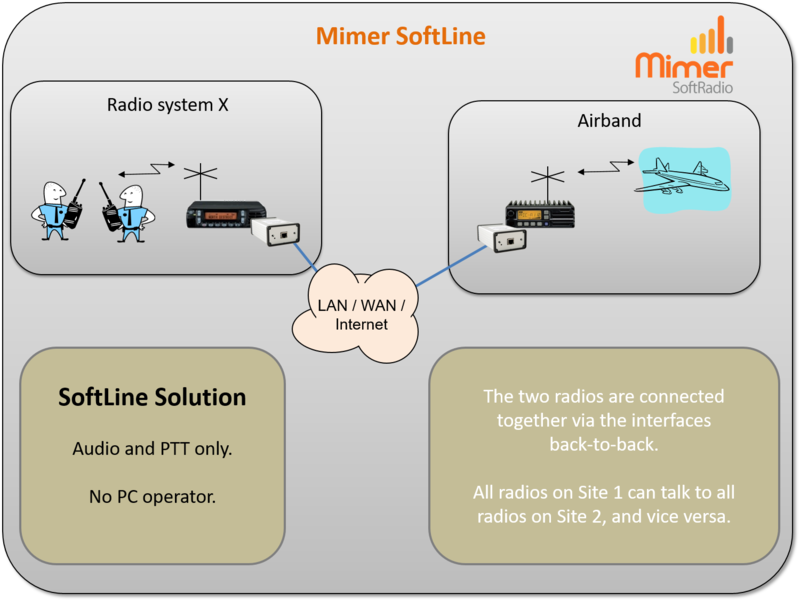 If you don´t need the ability to turn the patch on/off or to operate the fixed radios in any way from an operator PC, then you should look at our other solution Mimer SoftLine. 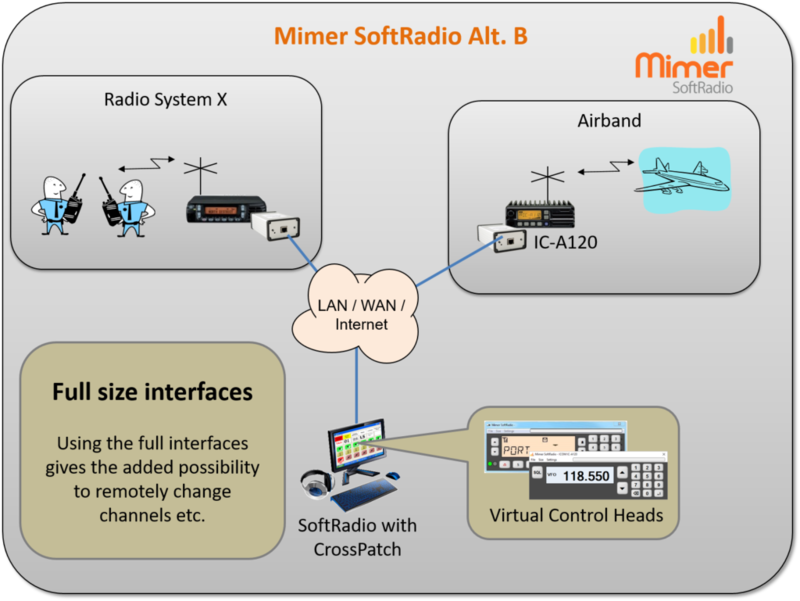 Mimer SoftLine will connect two radios together in a permanent patch. The radios can still be installed next to each other or anywhere using the Internet between them. We have made a video showing cross patching of a Kenwood digital radio to an Icom Airband radio. See and listen to the video here. Click the four examples below to learn more about the ways to build a cross patch. Two patches in SoftRadio XL. Instead of the patch lines, the patches are marked with X1, X2 etc. 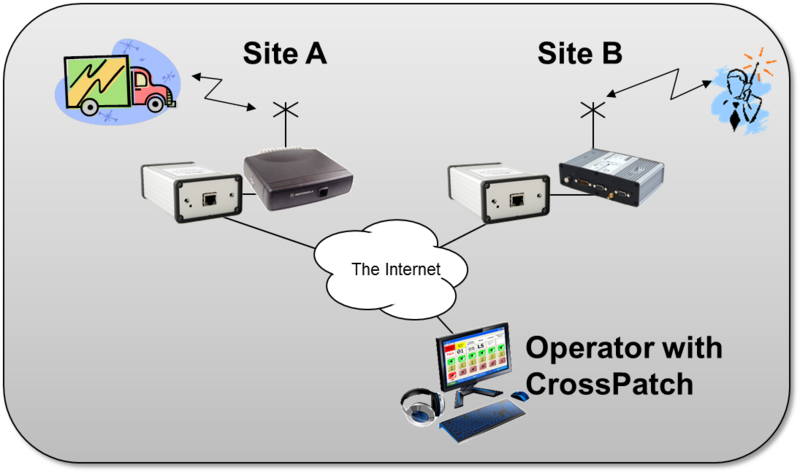 Coverage expansion, connect a base station in one area to a base station in another area, or connect many areas together. Cross band, connect a radio in VHF to a radio in UHF. Cross System, connect an analogue channel to a digital talk group. Or connect a radio to a phone. Tunnels, connect a long row of base stations together as one. Storm Plans, set up new working groups mixing system types for emergency operations. Connect the fire officer with his Tetra radio to the Power Plants man in charge, holding an analogue radio and the SOS operator over the phone, all in one conference. Migration, when half your staff have old radios and half are using the new system. Phone patch, when a call comes in to the dispatcher that needs to be connected to someone in the field, that doesn’t have a phone or the mobile phone systems just don’t work due to overload. PA-System, connect a radio channel to a PA-system so that a message on the radio also is transmitted on the PA.
Analog radios at Site A can be cross patched to Tetra radios at Site B. The patch is manually set up and disconnected by the operator. An ATEX Tetra portabel radio in the local radio system can be patched to an Airband radio so that onboard personel in Ex-areas can talk directly to an aproaching helicopter. More reading in the customer examples pages.